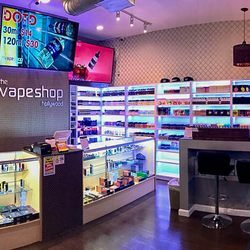 VAPE Shops In Sacramento Maybe Extinct With Ban On Flavored Tobacco Products! Home » News » Local News » VAPE Shops In Sacramento Maybe Extinct With Ban On Flavored Tobacco Products! The Sacramento City Council voted 7-1 to ban and make it illegal to sell flavored e-cigarette cartridges, menthol cigarettes and other flavored tobacco products with in the city limits. The ban will go into effect on January 1st. Public health advocates applauded the ban, saying e-cigarettes are increasingly getting teens addicted to nicotine as a gateway to cigarettes. Vape shop owners argued the ban will force them to close, and former smokers said the ban will make it much harder to purchase a useful tool they need to quit smoking cigarettes. There are 383 tobacco retailers in the city. Sacramento city will close shops that increase there inventory of flavored tobacco products, stop selling tobacco products for 60 days, or fail to renew their licenses. These closures will not be licensed to new shops. Vape shops complained they would be forced to close because of the ban and one Natomas owner said it will cut his business by 85%. A local survey was quoted saying since 2016, e-cigarettes use by 8th graders in the Sacramento Unified School District has risen by 50%. Yolo County, San Francisco, Oakland and Richmond have enacted similar bans in recent years. State lawmakers are also moving forward with a statewide tobacco flavor ban, which could also go in to effect Jan. 1.